Last week cyber criminals stole 387,000 credit card numbers and 3.6 millions social security numbers during a cyber attack on the South Carolina Department of Revenues, according to their press release. This cyber attack is now described as the largest breach against a state tax agency in the US. More than 75 % of South Carolina’s 4.7 million residents are affected by this security breach. It appears that out of 387,000 stolen credit card numbers only 16,000 were left unencrypted. The South Carolina state officials are offering to all affected citizens a free one-year credit monitoring and identity theft protection package. “It’s a huge, big deal,” said Paul Stephens, director of policy and advocacy for the Privacy Rights Clearinghouse. Stephens said South Carolina’s is the largest hacker-related data breach he has heard of involving a state government, but said that there have been larger attacks on private companies and the federal government. South Carolina’s state officials have declared that such a theft of data could have happened to anyone, but experts are saying that South Carolina was apparently a soft target. 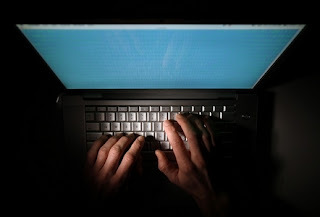 Using a virtual private network or a VPN connection is a good way to protect yourself when connecting to the internet. A VPN service encrypts all your Internet traffic and makes your Internet connection highly secure and all your online surfing anonymous. A VPN is a good way to protect yourself from a data theft on a daily basis, and a VPN connection for individuals is now affordable and efficient.